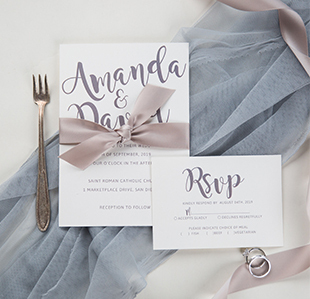 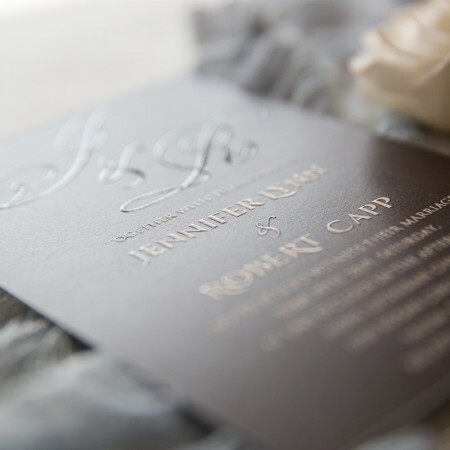 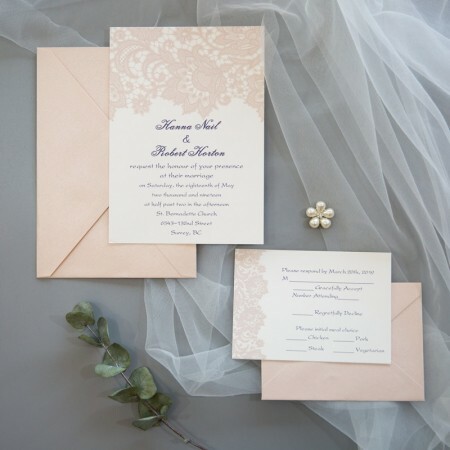 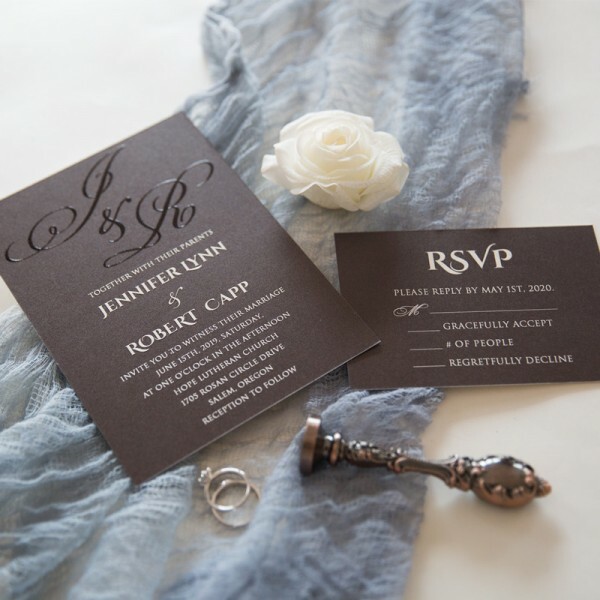 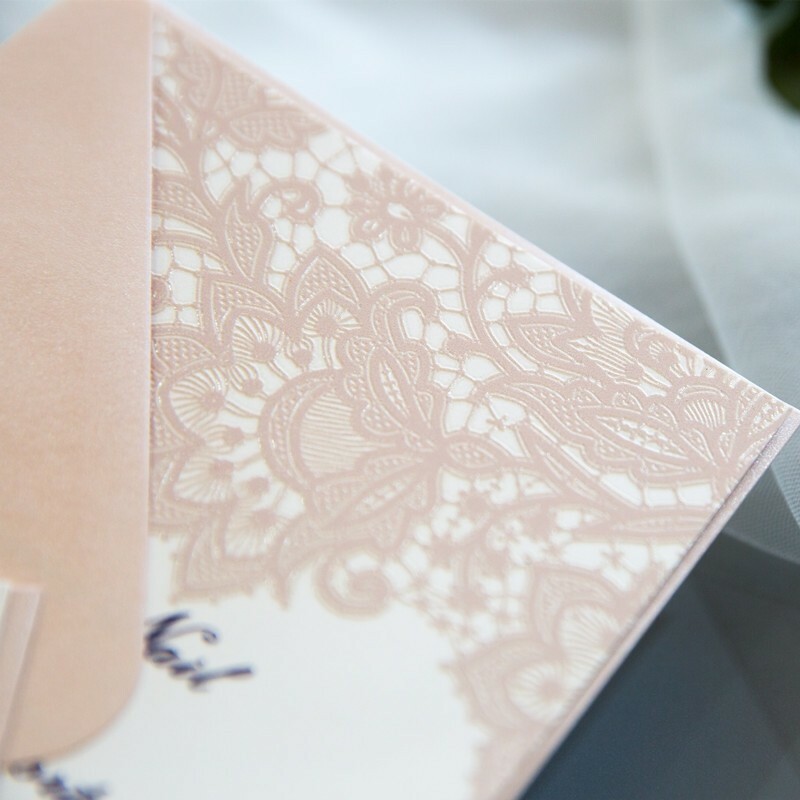 Thank you Stylish Wedd for the beautiful invitations. 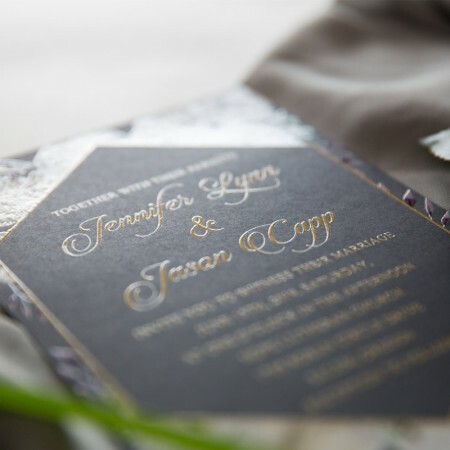 I appreciate you working with me to have my invitations in Spanish and English. 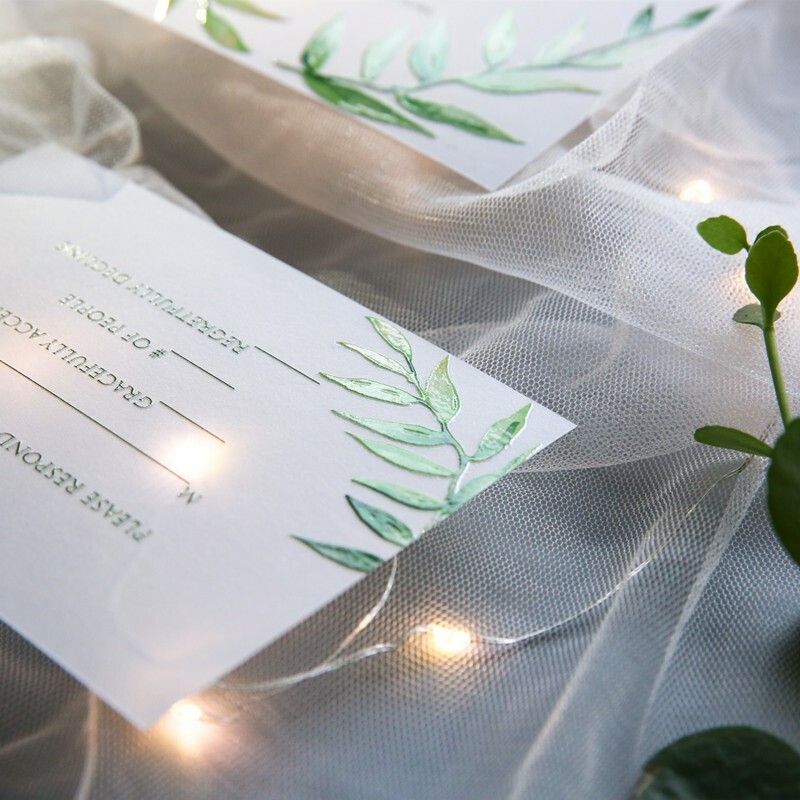 My guests love them and I continue to get compliments. 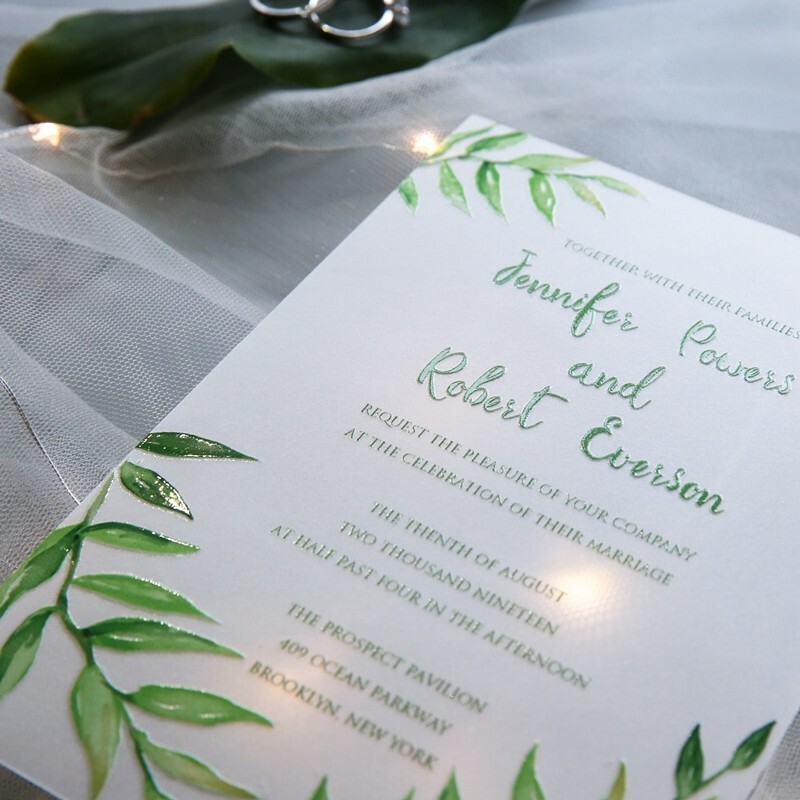 I couldn't be any happier. 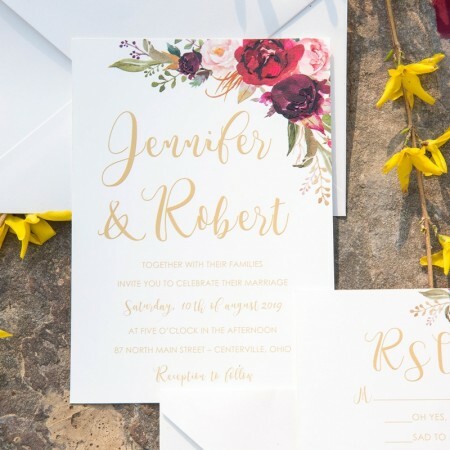 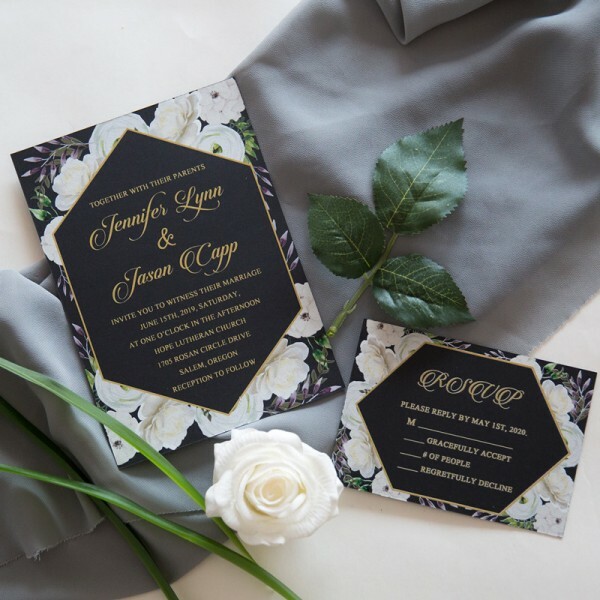 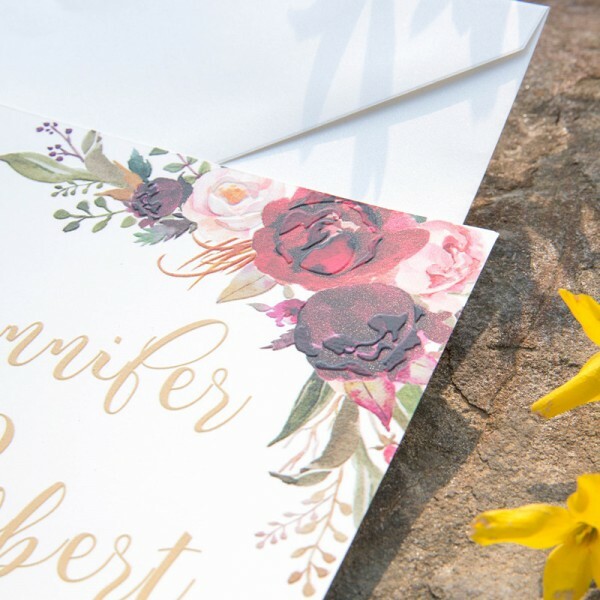 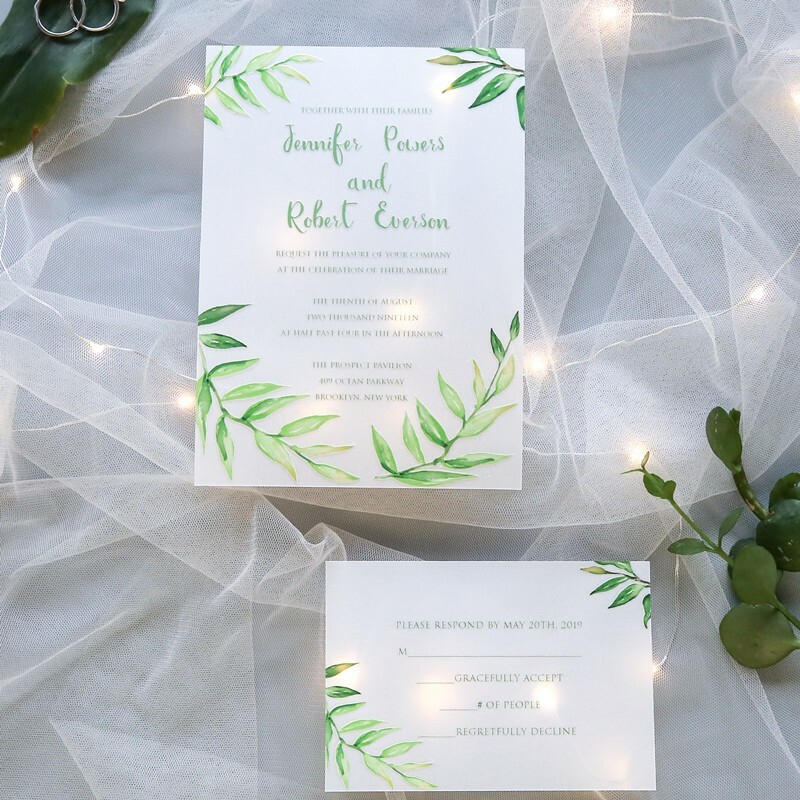 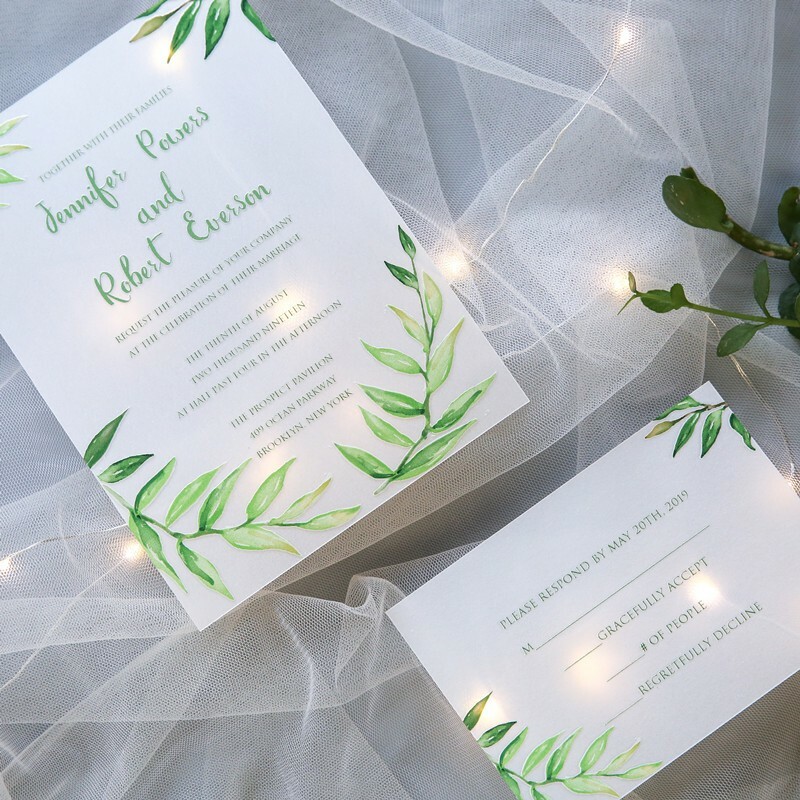 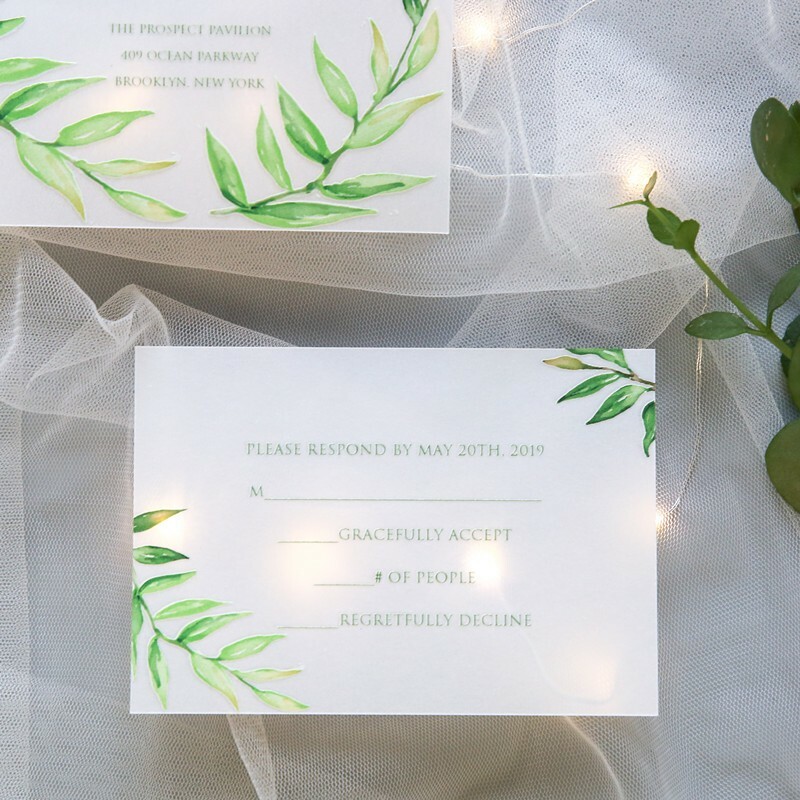 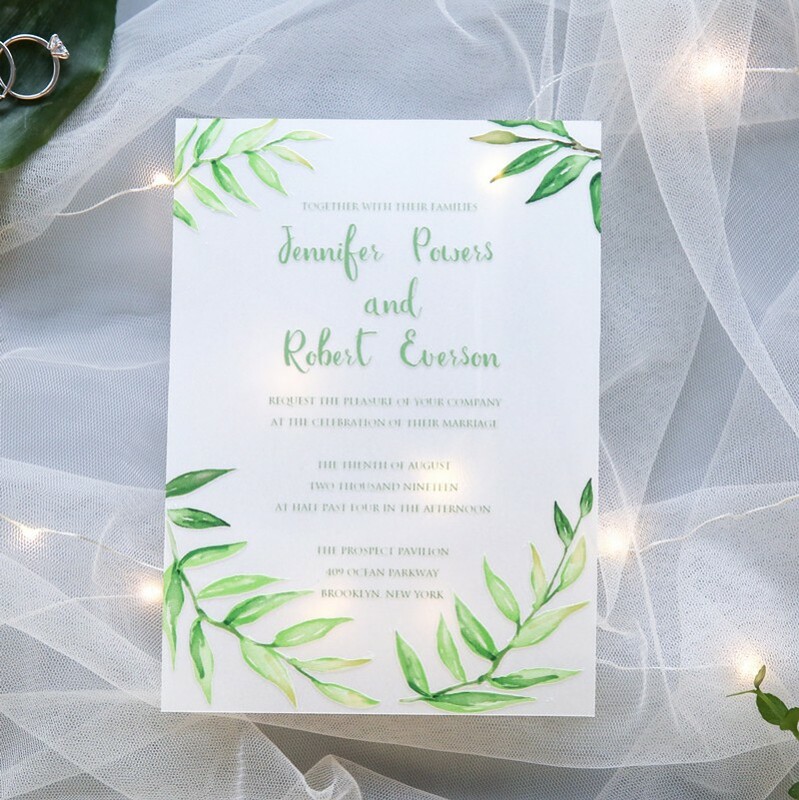 This greenery and fern inspired wedding invitation is UV printed on Vellum paper , meaning the entire design and your custom wording will have a raised effect. 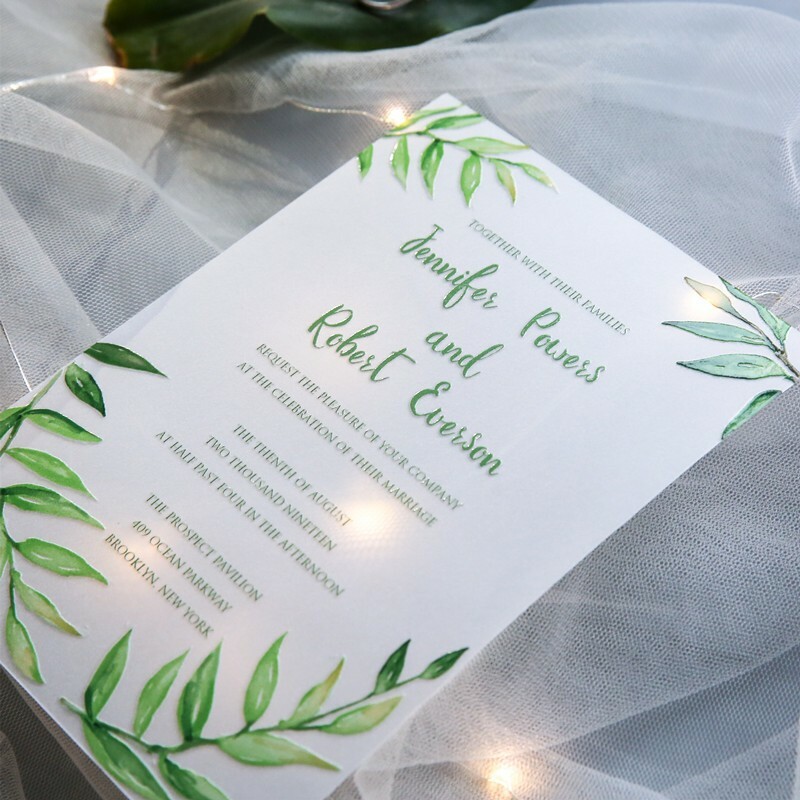 This invitation is perfect for the wedding that will have lots of greenery in the décor or a tropical destination.